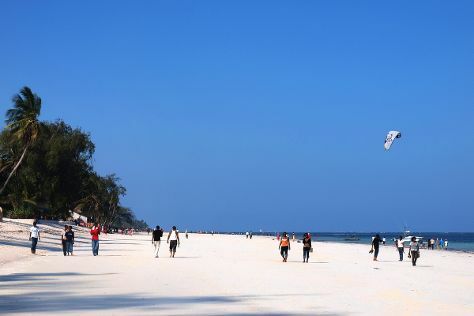 Explore the numerous day-trip ideas around Mombasa: Diani Beach (Diani Beach, Sand & Sea Beach Shop, & more). Next up on the itinerary: see exotic creatures in open habitats at a safari tour, soothe aching muscles at some of the top local wellness centers, and stroll through Nyali Beach. To find other places to visit, traveler tips, and other tourist information, refer to the Mombasa travel itinerary planner. Chicago, USA to Mombasa is an approximately 30-hour flight. Traveling from Chicago to Mombasa, you'll lose 9 hours due to the time zone difference. Traveling from Chicago in February, things will get much hotter in Mombasa: highs are around 90°F and lows about 75°F. Wrap up your sightseeing on the 18th (Sun) to allow time to drive to Watamu. Spend the 19th (Mon) exploring nature at Watamu National Marine Park. There's lots more to do: take an exotic tour of a safari tour, tour the pleasant surroundings at Watamu Beach, take an in-depth tour of Gede Ruins, and enjoy the sand and surf at Spiaggia delle Tartarughe. 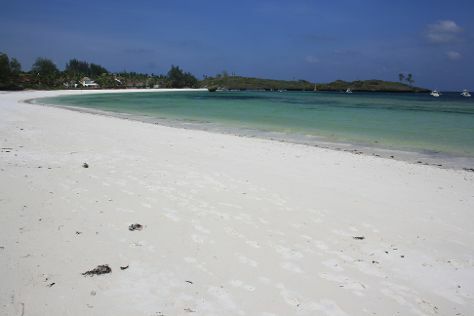 To find traveler tips, photos, reviews, and tourist information, go to the Watamu trip planner. Traveling by car from Mombasa to Watamu takes 2 hours. Alternatively, you can do a combination of bus and taxi. Expect a daytime high around 87°F in February, and nighttime lows around 77°F. Finish your sightseeing early on the 21st (Wed) to allow enough time to travel to Nairobi. Go for a jaunt from Nairobi to Naivasha to see Hell's Gate National Park about 2 hours away. Spend the 22nd (Thu) spotting exotic species with a safari tour. There's much more to do: stroll through David Sheldrick Wildlife Trust, have some family-friendly fun at GP Karting, stop by Noorjehan Collections Ltd, and take an unforgettable tour with a helicopter tour. To find other places to visit, photos, reviews, and other tourist information, you can read our Nairobi itinerary maker. Traveling by combination of taxi and flight from Watamu to Nairobi takes 2.5 hours. Alternatively, you can do a combination of taxi and bus; or drive. Traveling from Watamu in February, expect Nairobi to be a bit cooler, temps between 82°F and 61°F. Wrap up your sightseeing on the 25th (Sun) to allow time to travel to Mumbai (Bombay). Mumbai (Bombay) is known for sightseeing, museums, historic sites, scenic drive, and shopping. Your plan includes some of its best attractions: see the interesting displays at Gateway of India, make a trip to Dhobi Ghat, admire the striking features of Chhatrapati Shivaji Terminus, and let your taste buds guide you at a local gastronomic tour. To find more things to do, reviews, traveler tips, and other tourist information, read Mumbai (Bombay) tour planner. You can fly from Nairobi to Mumbai (Bombay) in 9.5 hours. The time zone difference when traveling from Nairobi to Mumbai (Bombay) is 2 hours. Plan for a bit warmer temperatures traveling from Nairobi in February, with highs in Mumbai (Bombay) at 88°F and lows at 67°F. Cap off your sightseeing on the 2nd (Fri) early enough to travel back home.